With rumors floating around that Intel might abandon LGA processor packages starting with Broadwell in 2014, AMD has chimed in to reassure enthusiasts that they remain committed to user-upgradeable chips. According to a company spokesperson, AMD has a long history of supporting the do-it-yourself and enthusiast desktop market with socketed CPUs and APUs that are compatible with a wide range of motherboards, and that will continue through 2013 and 2014 with the Kaveri APU and FX CPU lines. AMD says it understands "Intel’s enthusiasm for the approach" as they’ve been using BGA-packaged processors themselves for everything from ultrathin notebooks to all-in-one desktops, to embedded applications and tablets. However, when it comes to the desktop market, the company says they understand what matters to PC enthusiasts and will continue to bring better value and a better experience. It should be noted that Intel has not formally stated that it has plans to remove LGA products from its roadmap. That said, it hasn’t come forward to deny the rumors either, so AMD’s statement is reassuring to anyone who cares about upgradeability and might score points with system builders as well. Of course, AMD hasn’t been able to produce anything to match Intel’s enthusiast offerings for a while, and given its recent struggles it’s hard to predict what their processor lineup will look like in a couple of years. A switch to BGA packaging would mean processors will have to be soldered to motherboards. This presents some advantages when it comes to smaller form factors and lower power requirements. 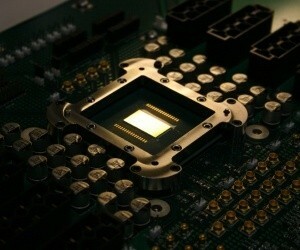 But on the other hand it would eliminate users’ ability to upgrade their CPU without switching motherboards, while potentially adding a layer of complexity for motherboard makers and system builders, who would need to produce and stock on different motherboard models with various features for each microprocessor.